Wheel to wheel, door to door. That’s what racing is all about, after all, and there is this growing misconception that one needs a lot of power to make a race exciting. Maybe this stems from the popularization of Formula 1, and the subsequent decline in interest for other forms of racing, but there are a lot of race series out there that champion lower powered cars, even if they aren’t the fastest things on the planet. Many race series have some kind of “balance of performance” measure that helps to reduce any particular advantage a team or manufacturer may have with their particular car. One method of levelling the playing field is a throttle restrictor plate, which limits the amount of air that can flow into the engine – and with a rudimentary understanding of cars, you’ll know that by restricting air, you limit power, regardless of engine capacity. But even then, teams can find different ways to gain a particular advantage – whether it’s with aerodynamic work, lightening, suspension – it doesn’t matter which series you look at, if there’s an advantage to be had that involves spending more money (it usually does), someone will probably take that opportunity to gain the upper hand on their opponents. One way to put a stop to this to have a one-make-race series. There are many kinds out there, from Porsche Carrera Cup, to Spec Miata racing, and in Canada there’s even a one-make race for Kia Picantos. It goes to show that the cars in question do not need to be particularly powerful, but rather they need to be competing on an even playing field. While that leaves engineers a lot less to do, it puts driver talent on display, front and centre. 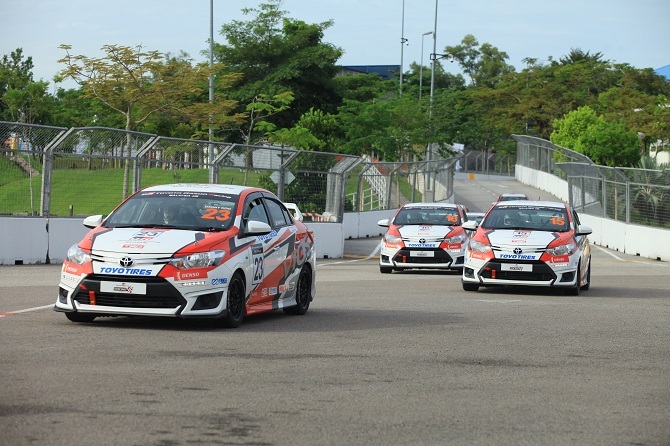 The Toyota Gazoo Racing Vios Challenge is perhaps the only local example that has such closely regulated cars such that the grid can truly be an even playing field. The amount of scrutineering that goes on before, during, and after races ensures that no team can get away with any hanky-panky, so to speak. There’s even a mobile chassis dyno on hand to check cars and see if teams have attempted anything creative to increase power levels. But even so, the Vios Challenge cars are not outright slow. One of our colleagues has a manual Vios J himself, and he has taken it upon himself to get the very best out of the car – and there is plenty to be found, even before touching the engine itself. The Vios Challenge has seen success all around Asia, from the Philippines to Thailand, and it’s really starting to take off locally. A lot of people feel that the Toyota Vios is underwhelming, but let’s remember that at its core, the Vios is a family sedan. The fact that it is even offered with a manual transmission is something we should be thankful for, because as we’ve found there are barely any new manual offerings left on the market under RM 100,000. Driven hard, the manual Vios is quick and spritely – if you don’t take our word for it, you should give it a try for yourself (if your local Toyota dealer has a unit for test, that is). 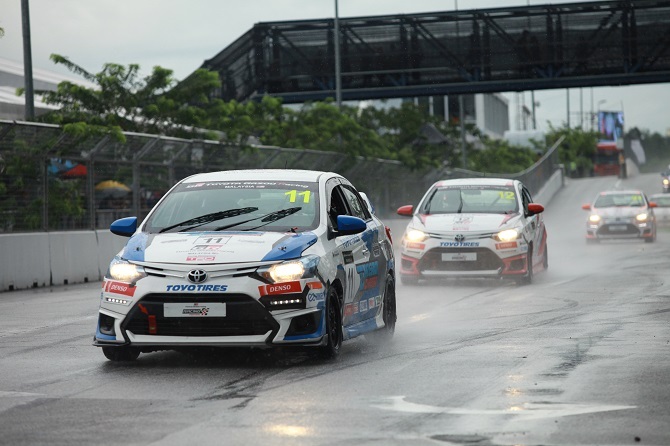 But all of that aside – the spritely character of the Vios, the appeal of one-make-racing – if you are still unconvinced that the Vios Challenge is worth watching, you need only take a look at the field of drivers. 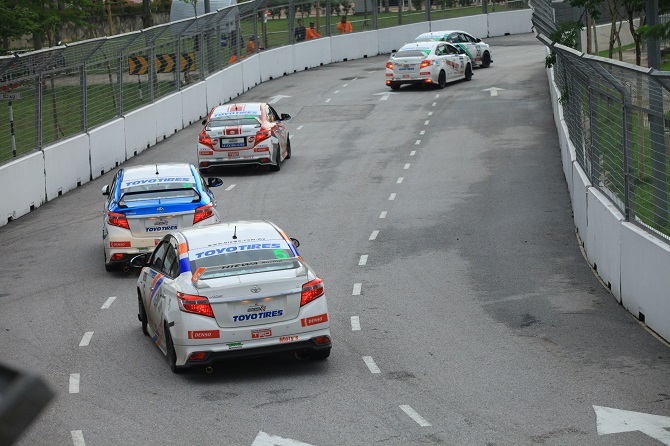 Promotional category aside, there are some big names behind the wheels of those Vios Challenge cars, from Malaysian heroes like Tengku Djan, to local racing legends like Boy Wong, and even up-and-coming drivers like Mark Darwin. So even if you miss this weekend’s leg of the Vios Challenge down in Johor, try to make it for the next round – whether it’s in your hometown, or somewhere else. Use it as an excuse to explore the country if you have to, because it’s almost guaranteed that the racing will be as close and as exciting as you could hope for.